Japanese companies JX Nippon Oil & Energy Corporation and Otsuka Pharmaceutical Co., Ltd have been named official sponsors for the upcoming World Baseball Softball Confederation (WBSC) Under-18 World Cup in Osaka. Nippon Oil are considered the biggest oil company in the nation and will have a strong presence at the event, due to begin tomorrow and concludes on September 6, as their main brand, ENEOS, will feature on sponsorship boards across the competition venues. They have been involved with baseball tournaments in the past as they have partnered the WBSC Women's Baseball World Cups but this move represents their first venture into the youth baseball market. Otsuka Pharmaceutical Co., Ltd’s main product, Pocari Sweat, will be the official sports drink of the competition and will be used by all 12 national teams. “The WBSC is absolutely delighted to welcome ENEOS and Pocari Sweat – brands that specialise in top performance and exceed the very highest standards,” WBSC President Ricardo Fraccari said. The tournament brings together the world’s top 12 teams at under-18 level and some of the players who will be competing could feature at Tokyo 2020 should baseball and softball be recommended for Olympic inclusion. It will also give the sport’s governing body the opportunity to gauge public support for baseball, dropped from the Olympics after Beijing 2008, in Japan ahead of the Tokyo 2020 Additional Event Programme Panel announcement, due in September. Japan and the United States, ranked at number one and two in the world respectively, have been drawn together in Group A alongside Australia, Brazil, the Czech Republic and Mexico. World number three ranked Cuba are the favourites in Group B and they will go up against Chinese Taipei, Canada, Italy, South Africa and South Korea. 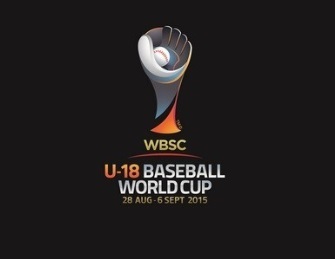 The last Under-18 Baseball World Cup in 2013 in Taichung, Chinese Taipei, where the US beat Japan in the final, had a potential reach of 144 million homes and an online and mobile reach of 20 million, WBSC claimed.